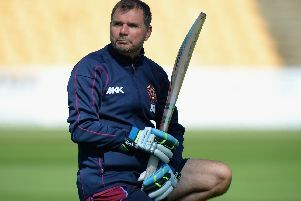 Sam Palmer has urged his Weekley & Warkton team to seize their opportunity as they bid to keep their dream of playing at Lord’s alive this weekend. The Hevey Building Supplies Northamptonshire League Division One outfit take on Staffordshire Premier League side Pelsall at Boughton Park on Sunday in the last 32 of the Davidstow National Village Cup. Weekley earned their place in the national stages of the competition by winning the Northamptonshire region thanks to a five-wicket success over East Haddon nearly two weeks ago. Palmer and his team now find themselves four wins away from an appearance at the home of cricket. And, after a solid start to their NCL campaign which sees them sitting in third place in the second tier, the captain is feeling confident. “We are really looking forward to it, it is a great opportunity for the lads to compete on a national stage,” Palmer said. “You don’t get many chances to get this close to playing at Lord’s so we have to do everything we can to try to win on Sunday. “It is 40 overs a side and it’s an opportunity to go and play a bit more expansively than normal. “The club has taken this competition quite seriously over the past couple of years and we got a stage further than this last year. “We have been in good form in our Saturday cricket and when you are winning games it creates a feel-good factor around the whole club. “That winning also breeds confidence and we believe we can win this weekend. “It won’t be easy. They will have some very good players in their side. Weekley have made the day a family event and are hoping a big crowd will be on hand. There will be a barbecue, bar, cake stall, face painting and more available on the day. Palmer added: “We aren’t one of these clubs that receives big financial backing so days like these are even more important to us. Before that date with Pelsall, Weekley entertain Loddington & Mawlsey in Division One of the NCL tomorrow (Saturday) after drawing with Old Wellingburians in a rain-affected game last weekend.